Create the website for a restaurant chain, including creation of icons for use on the website, retail store fronts, menus and marketing materials. 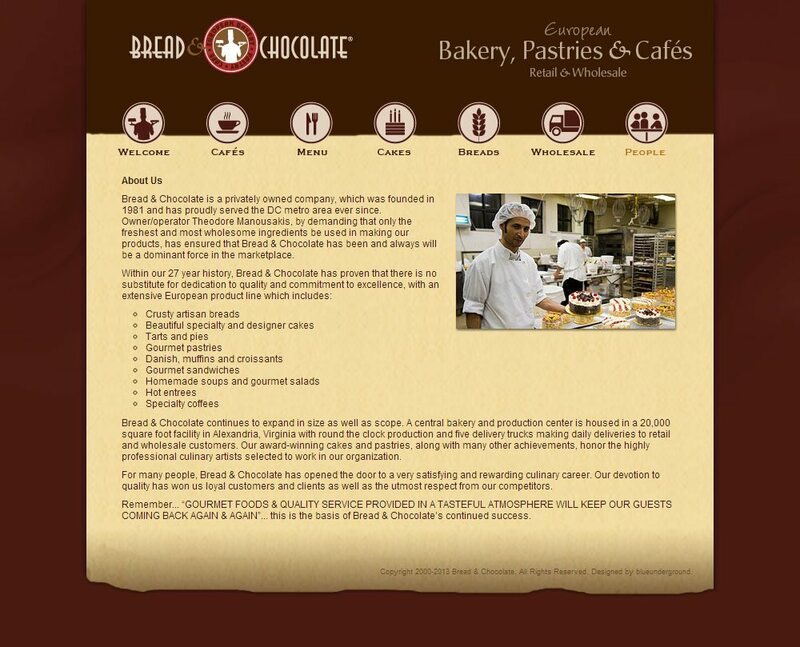 Bread & Chocolate is a privately owned company, which was founded in 1981 and has proudly served the DC metro area ever since. 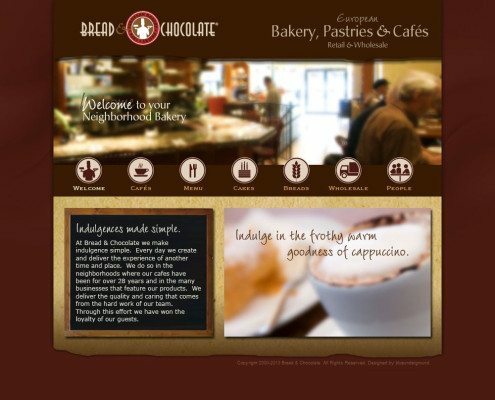 Owner/operator Theodore Manousakis, by demanding that only the freshest and most wholesome ingredients be used in making our products, has ensured that Bread & Chocolate has been and always will be a dominant force in the marketplace. A central bakery and production center is housed in a 20,000 square foot facility in Alexandria, Virginia with round the clock production and five delivery trucks making daily deliveries to retail and wholesale customers. Our award-winning cakes and pastries, along with many other achievements, honor the highly professional culinary artists selected to work in our organization. 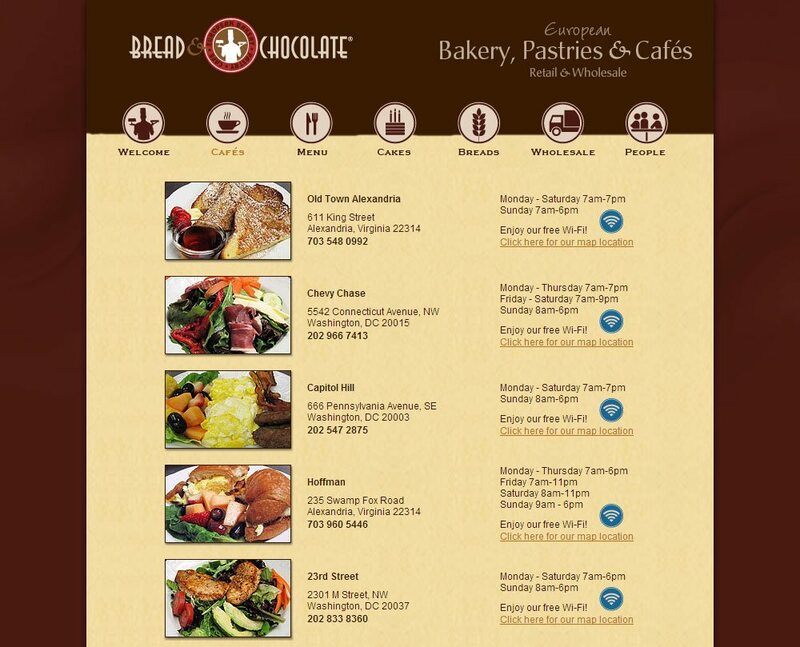 Bread & Chocolate is located in Alexandria, Virginia and Washington, DC.